Nancy Pearl is joining the ranks of superheroes, Star Wars characters, and Transformers, because she now has her own action figure. 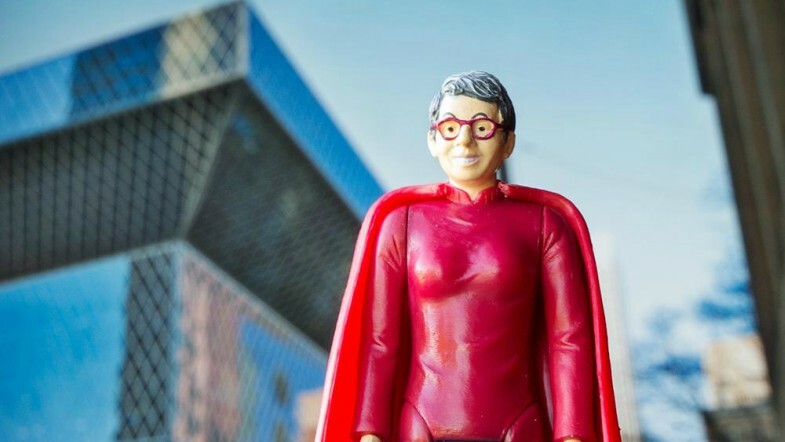 Seattle-based novelty company, Archie McPhee, crafted one of their most popular action figures after Seattle librarian Nancy Pearl. Nancy, a best-selling author, librarian, literary critic, and reader, is definitely deserving of an action figure of her own. Not only did she win Librarian of the Year in 2011, but she also received the Lifetime Achievement Award from the Pacific Northwest Booksellers Association in the same year. Her efforts to spread literacy to all is definitely an underrated superhero quality.